Birthday' s are always to be celebrated with style and panache, a time to get wild, stay stylish, speak well, shout out load, let your hair down and wear that Nina Ricci, with bright red painted nails..yes blood red. 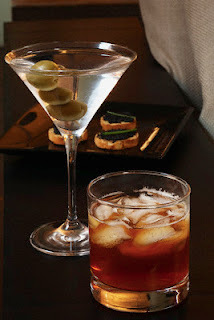 Time to be coy with the man and crazy with the friends, a dash of wit and lots of class, running high and dry on Martini, with the proverbial olives, wild classy timeless and high!! Ha ha thanks my fair maiden. long live the queen :)! Seems to be a private affair getting public! Anyways, Happy B'Day Queen (Kahan kee???)!!! That martini with olives is very inviting.